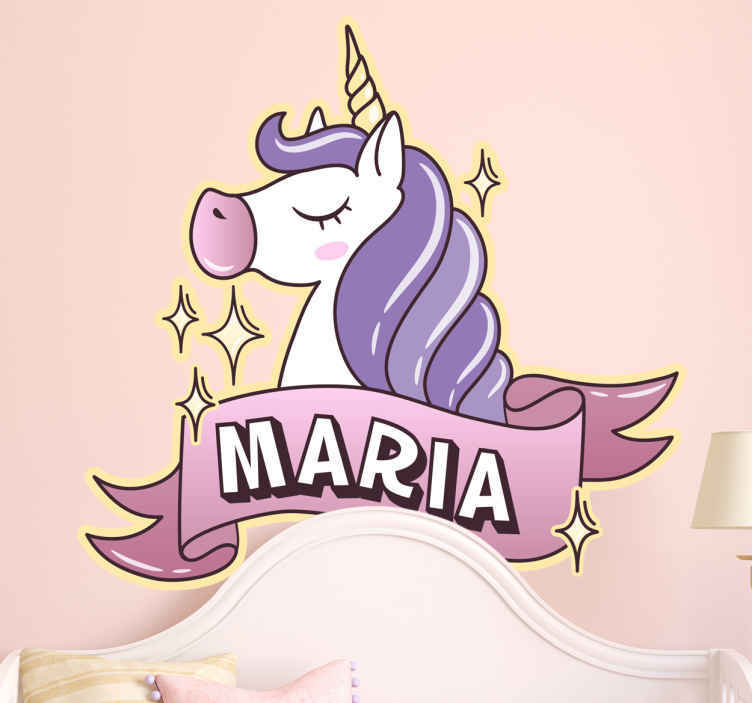 Personalised stickers - A kids unicorn decal where you can customise the name and give them their very own custom wall sticker. The girls name bedroom sticker will add so much decoration to your little one´s room. The unicorn wall sticker will make them feel so important and that their room is really their own. So what are you waiting for? Put a smile on your little girl´s face and give her this personalised unicorn sticker. Our children´s bedroom stickers are easy to apply and leave no residue on removal.